Ambulance is a raw, first-person account of the War in July 2014. 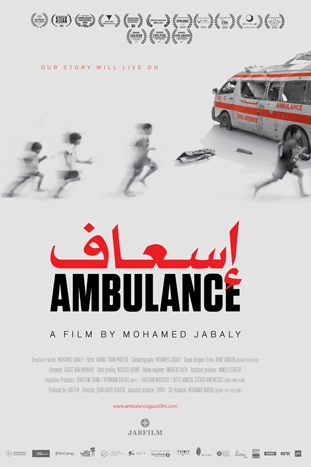 Mohamed Jabaly, a young man from Gaza City joins an ambulance crew as the war approaches. What is it like to live under constant threat. How can Mohamed find his place in a country under siege, where there seems to be no foreseeable future? We experience the war through Mohamed’s eyes, watching directly from the passenger's seat, as he comes of age among dead bodies, terrified families, and the constant risk of sudden death.